Sunday's Pinterest Party at Michaels Craft Store in Anderson, SC is almost here! I'll be there hosting and representing Hometalk! I hope I'll see you there. It is from 1-4pm! I had such fun creating my Burlap Monogrammed Wreath for the event! You are not limited to my project. The sky is the limit! Below you will find a listing of all of this month's projects from across the nation. Just click on a project and it will take you straight to that blog with the listed project for more details! You can also visit the Michaels website for a location near you! I decided to do the burlap project. We were encouraged to put our own twist on it! I decided to add mine to a wreath. I can't wait to hang it on our front door for the spring around the end of March! You can find the how-to HERE. 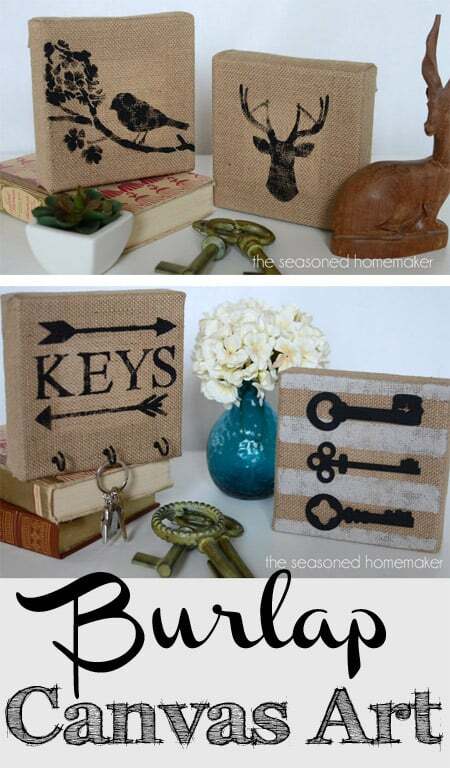 I thought I'd share a few other burlap canvas projects so you can see how easily it can be customized based on your vision! 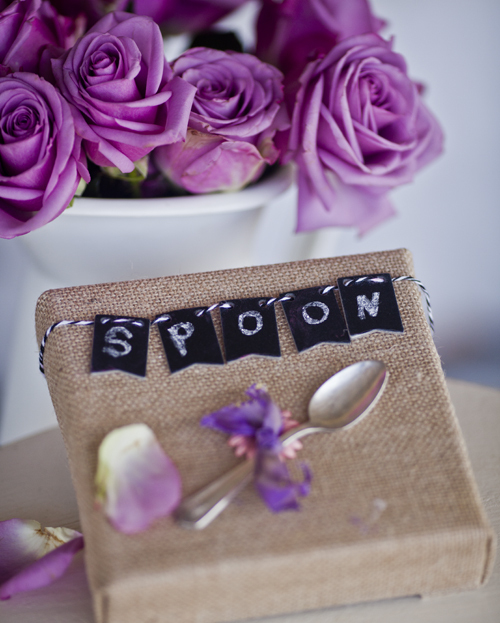 Anita from Cedar Hill Farmhouse created a burlap canvas with the mini chalkboard tiles and a vintage spoon in her collection. You can find it HERE. Wendi from H2O Bungalow framed hers for wall art! I love this!!! You can find it HERE! Check out how Sonya from At Home with the Barkers added her touch to this cute wall art! Spring is in the air! You can find it HERE! Leslie from The Seasoned Homemaker has created one of my favorites! This is so simple with high style!!! You can find the details HERE! Nancy from Artsy Chicks Rule puts her art skills to work here. So love the touch of glitter! You can find the details HERE! 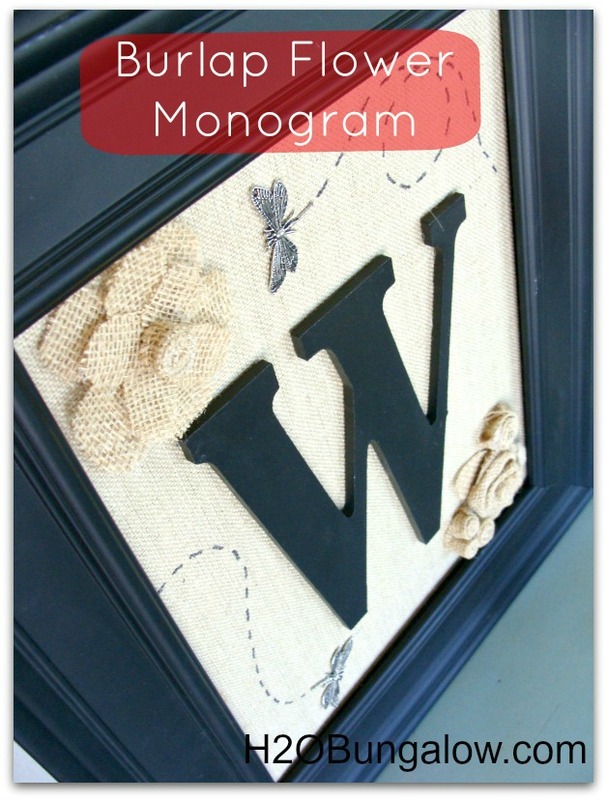 I love this girly monogrammed art from Therese at Fresh Idea Studio! This would be perfect for a nursery or a teen room! Love the layering of stencils! You can find the details HERE! Get ready for spring! Julie from Lilacs & Longhorns has an adorable wall hanging! I really love this. I'm seeing Easter vignette! Go HERE for the details. These are just a few! I couldn't put them all in the post, but you will find them all below. There are 5 different projects to pick from and you will seem them represented here! I hope to see you Sunday!!! !